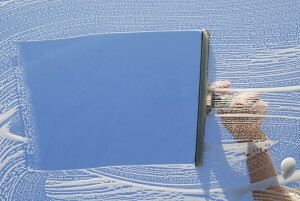 Window cleaning in Liverpool is executed to perfection by our company. Cleaners Liverpool will bring you a very pleasant but at the same time effective experience. Our company specialises in many types of cleaning assistance but one of the things that we do best is wash windows. Regardless of whether you need us for your home or office we have the right tools and knowledge to execute a quick and efficient service that will surely leave you satisfied. We have the means to climb tall buildings on a winder and then simply scroll down on each floor in order to have the windows cleaned from side to side. It might sound scary but we assure you that our workers have a lot of fun doing it. You can ask them when you meet for the first time. They are very well trained and know exactly what to do both with your windows and the cleaning machinery that they operate. We have devoted a lot of time in training focusing on communication skills too. This is mainly due to the fact that we believe that our customers are our most valuable asset and we’d love to make you feel comfortable when communicating with our teams on site. Along with our reliable and helpful workers we also have professional cleaning materials that will make your windows look as good as new. They also come with a very fresh scent which will contribute to the great feeling of peering through freshly washed glass. Don’t worry about what’s in those bottles – our solutions are mainly water based and won’t harm the environment at all. You and your co-workers or family are perfectly safe. We won’t have to ask you to quarantine the place for days after we’ve cleaned it. 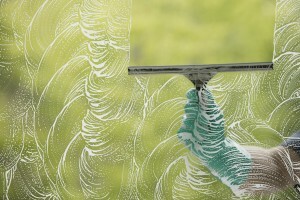 We use special brushes and sponges in order to preserve the surface of the glass without scratching it. Even though we are always careful not to cause any damage we are still fully insured mainly to make sure you won’t worry about the whole job. Our team doing the window cleaning in Liverpool is also fully licensed to operate in different facilities with all sorts of chemicals and materials. Our workers will also be careful with the framework and finish of the windows. Depending on the material the frame is made of we can polish and clean it as well. Our cleaning solutions will also leave a protective layer on the glass preserving it from dust or dirt for weeks to come. Nobody wants to clean windows during the winter but the weather out there doesn’t stop us. We are available 365 days in the year and work even during holidays.